You’ll be able to talk in Destiny 2’s Forsaken expansion. The launch trailer for the new expansion features a moments-long clip in which the player-character utters a total of one sentence. That might not sound like a big deal, but those are the first words your player has spoken since the end of the first Destiny game. Guardians in Destiny weren’t very talkative, speaking only a handful of lines throughout the game, but they didn’t speak at all in the expansions. By the time Destiny 2 rolled around, your characters had been rendered entirely mute. That was much to the disappointment of a lot of fans, although Bungie claimed that that was to help player immersion, offering something of a ‘blank slate’ for us to project onto. Clearly they’ve taken some of that initial criticism on board however, as the launch trailer, which you can see below, has your Guardian speak, replying to Commander Zavala as he says “I refuse to bury another friend.” In response, the Guardian says “you won’t have to. Uldren Sov is mine.” Powerful stuff. Zavala, of course, is talking about Cayde-6, whose death is a key part of the set-up for The Forsaken. Cayde just so happens to die at the hands of Uldren Sov, otherwise known as the prince of the Reef. 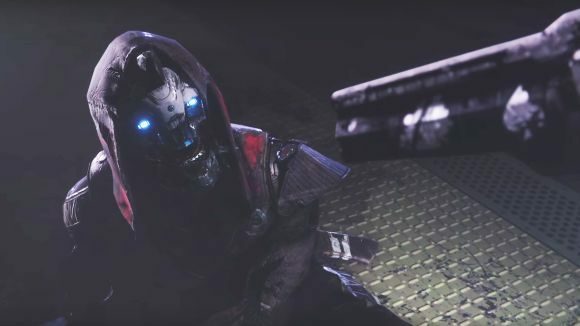 Elsewhere in the trailer, we see Cayde’s apparent final words, in which he asks Uldren “how’s your sister?” That might seem appropriately tongue-in-cheek for the character, but it’s actually a much more important dig – Uldren’s sister, Queen Mara Sov, is thought to be dead, killed at the beginning of Destiny expansion The Taken King, which launched in September 2015. Uldren thinks the Queen still lives, and much of what he gets up to in The Forsaken ties into his attempt to get her back. The Destiny 2: Forsaken release date is September 4, so you only need to wait until next week to watch your Guardian utter those few fateful words. You can check out the trailer in the video above.